Work faster and more efficiently. In modern businesses productivity cannot be improved by just working more hours. It is crucial that you take steps to allow your employees to work smarter instead of harder and get the same jobs done in less time. AMAGNO is the most advanced single-solution Digital Workplace and DMS/ECM available for the Digital Native generation. Automate your archives, both physical and digital documents, emails and even the most complicated of office workflows. 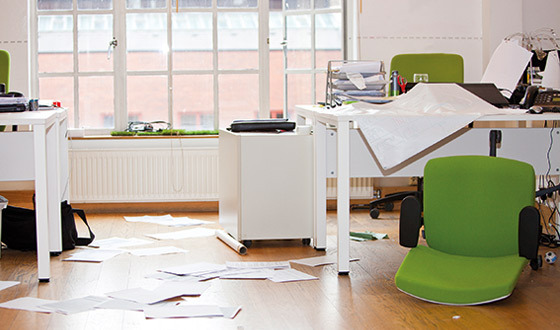 Get rid of paper clutter, eliminate office stress and let your employees get back to adding value to your business. Free up more resources for your company so that it can focus on what’s essential, resulting in quicker and more efficient work. Our modern document management system will help you digitise your current paper file systems, cut down on the influx of emails and work in a stressfree, more audit-proof, transparent way than ever before. Thanks to the enormous time savings your employees will once again be able to concentrate on their core activities – a massive competitive advantage! Ensure efficient access to documents and clearer work processes. Reduce your I.T. costs drastically with our simpler yet powerful system. Don’t let the digital revolution pass you by. Making the leap from horse and carriage to the motor car was a huge challenge and a technological revolution: nowadays it is the leap from paper clutter and physical file storage to the completely Digital Workplace. With an Enterprise Content Management solution your company will get back to using time efficiently, free up new resources, swiftly gain momentum. Day in, day out, in offices all over the planet, employees spend vast amounts of time searching for files and documents. The file that you need should be available to you immediately, without having to search for it in the depths of a complicated network drive sructure or similar data “black hole”. You should be able to find what you’re looking for instantly, not spend your day looking for it! Apart from the time factor, a modern Enterprise Content Management solution offers you substantial cost advantages. You will no longer need to take up valuable office space with large filing cabinets and archives. By improving the overall office efficiency in terms of a much lower data usage, you will also be able to make considerable savings on I.T. infrastructure. With AMAGNO you can access your files and documents whenever and wherever you are. It doesn’t matter whether you’re working away, working from home or travelling: the digital workplace is wherever you are. Thanks to the built-in, user-friendly internal communication and workflow solutions, you are always fully connected.